CHTC Bus Group was greatly saddened by the recent news of a horrible motorcoach accident in Virginia. Although the crash is still being investigated, it’s a stark reminder of just how much can be lost in an instant. Our hearts are with those who were impacted by this crash. Safety is CHTC’s priority. As a company, everything we do comes down to the one thing we hold most valuable: safety. From the unique U-shaped design of our steel frame to the tires we select for our coaches, our HT-Series coaches are built with the intention of protecting the people who will be onboard our coaches and those who will share the road with them. Not only do we build our coaches with superior safety features, we also provide driver training and education for our customers. Why? Because human lives matter, and we firmly believe that just a single injury on an HT-Series coach is one injury too many. However, building a safe coach and providing training can’t fully ensure safety. The truth of the matter is that safety is in the hands of operators, and more specifically, drivers as well. A vehicle is only as safe as its driver makes it. Recent events have had us at CHTC thinking about what the industry must do to increase safety. Such matters weigh heavily on our hearts. Although an HT-Series coach has never been involved in a serious accident, we want to be sure it stays that way. So, what are some concrete steps operators and drivers can take to maximize safety? Keep up on your maintenance and be sure you implement safety checklists. The maintenance factor should be obvious, but it’s not always so cut and dry. Some operators are running on small budgets and they may put off certain maintenance or repairs in order to save on overhead. It’s understandable at first glance, but this is a practice that truly needs to be eliminated from the industry. Maintenance might be required for warranty purposes, but it’s not only about protecting collateral assets, as some might assume. It’s also about ensuring safety standards. 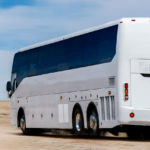 If a coach is properly maintained, the risk of systems and parts failure decreases drastically, existing issues are caught much earlier, and small problems don’t develop into large problems that can ultimately lead to dangerous conditions for those aboard and on the road. Maintenance is crucial to safety. Of equal importance is the pre-trip safety checklist. 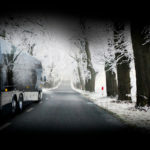 Drivers should always check the conditions of the coach before each trip. If any item on the checklist isn’t in proper order, drivers should refuse to take the coach out on the road until the problems are rectified. 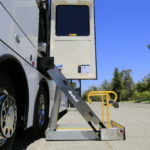 This provides an additional safety net to detecting potentially dangerous conditions that maintenance may have missed or may have developed since the last service appointment. This list is not exhaustive, and other items may need to be checked. Any qualified driver will know what tests and inspections must be completed before a trip. If a driver cannot complete any of these tests, they should not drive the bus. A pre-trip inspection checklist should always be mandatory. 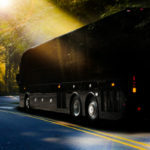 Although we may be preaching to the choir for many on this subject, it’s important for operators to know it’s our job to provide a safe, reliable coach; but it’s an operator’s job to make sure the coach is being used safely. Remember, the judgment call is yours. Make sure coaches are maintained. Make sure drivers are rested and have good driving records. If a driver reports an issue to you, or if a driver seems unfit to drive, it’s better to cancel a scheduled trip than it is to ever take a safety risk. Safety is everyone’s job.